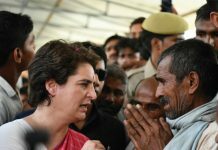 The Enforcement Directorate has speeded up its investigation into the case registered against Congress leader Priyanka Gandhi’s husband Robert Vadra involving money laundering. 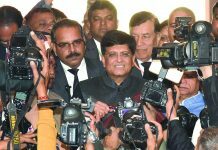 It had also questioned him for hours about the alleged purchase of illegal assets abroad. 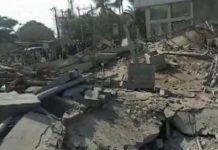 However, the Haryana Police is sitting over the case registered against him, Haryana’s former chief minister Bhupinder Singh Hooda and a Gurugram-based real estate giant at Khedki Dhola Police Station in Gurugam district. It is widely believed that BJP-ruled Haryana government wants to keep the sword hanging on their head and will act when it suits politically. Although Chief Minister Manohar Lal has denied the allegations of any political vendetta, but since assuming power in Haryana , a series of cases of misuse of power under the Prevention of Corruption Act for benefiting the builders have been registered against Hooda. In September 2018, the SHO of Khedki Dhola Police Station in Gurugram district got instructions from his bosses to register a case on the complaint of one Surinder Sharma, who is soon coming to meet him. Within minutes, Surinder Sharma arrived with a complaint alleging fraudulent land deals by former Haryana chief minister Bhupinder Singh Hooda , Robert Vadra and a Gurugram based real estate giant. 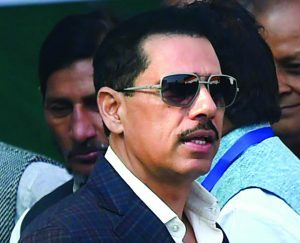 Sharma alleged that Vadra’s company Sky Light Hospitality had allegedly purchased land in various places of Gurugram and further sold it to other builders at exorbitant rates after getting change of land use licence from the then Haryana government headed by Bhupinder Singh Hooda in violation of rules. A case was promptly registered. It has become bone in the neck of Police considering the involvement of high-profile individuals. Though the case was registered with jet speed but the investigations are going on at snail’s pace. Till date, even the accused named in FIR — Bhupinder Singh Hooda and Robert Vadra — have not been asked to join the investigations. Even the complainant Surinder Sharma who had claimed that he was a social worker and had got the case registered in the public interest is not satisfied with the investigations of the case. Surinder Sharma told Tehelka that soon he will meet Gurugram Police Commissioner KK Rao and DGP Manoj Yadav in this regard. He hopes that Police will not act under pressure of the powerful accused. Considering the sensitive and political nature of the case even Police officers connected with the investigations are not willing to talk. 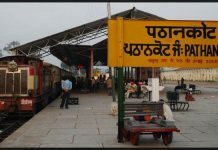 After registering the case, Police had constituted a special investigating team headed by Assistant Commissioner of Police,Manesar Dharmvir SIngh.It is learnt that so far SIT has written to concerned authorities — Tehsildar Manesar, Town and Country Planning Department and Haryana Shahari Vikas Pradhikaran to provide relevant records and is still awaiting response from these departments. When asked about the probe, Police PRO and Commissioner of Police, Gurugram , responded in stereotype manner. Manesar DCP Rajesh Kumar and ACP Dharmbir Singh, who is heading the special investigating team told Tehelka that they were not supposed to talk to media and advised to approach PRO of the department. When asked whether Bhupinder Singh Hooda and Robert Vadra had been asked to join the investigation, Subash, PRO of Gurugram Police, said the probe are going on. Both Bhupinder Hooda and Robert Vadra had already described the case as politically motivated and aimed at tarnishing their image. While Chief Minister Manohar Lal Khattar has denied the charges of political vendetta, Hooda had said that he was nowhere connected with the alleged land deal and he had been framed at instance of Khattar as he was exposing his anti-people policies . Police was in such hurry to register the case that it commited blunder of not getting prior permission of the state government for doing so. 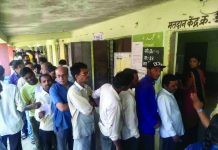 On condition of anonymity, a senior police officer said that normally in such cases police acts on the behest of political bosses. He added that there was clear instructions and the case was registered within minutes of getting complaint. “As soon as we get any instructions from political bosses we will act,” he said. Meanwhile Gurugram Police is still awaiting instructions from political bosses for acting on complaint of activist Harinder Dhingra who has lodged complaint with it against Bhupinder Hooda and directors of International Recreation and Amusement Pvt.Ltd, Gurugram, for cheating, conspiring and misusing authority, resulting into loss of Rs. 564 crores to the exchequer. 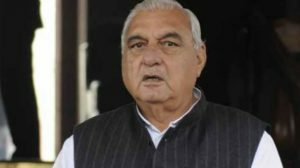 Dhingra has alleged that Hooda as chief minister had allowed change of conditions of allotment letter issued to the above firm. Even after more than three months of lodging the complaint ,police is still consulting legal experts before registering the case. Bhupinder Hooda is on bail in what is known as Manesar land acquisition and release scam. On the directions of Supreme Court, CBI is investigating yet another case against Hooda and 15 builders for issuing of licences for colonisation at Golf Course Extension Road,Gurugram. Hooda is also facing case for re-allotting plot to Associate Journals Ltd at Panchkula for starting a newspaper.